With the addition of high-resolution SkySat and SuperView-1 imagery to Image Hunter, it is time for us to update our price list (again). And while we were at it, we also updated the academic discount for PlanetScope and RapidEye as it is now 30% off! If you would like a copy of our updated medium and high-resolution satellite imagery price list, send us an email at sales@apollomapping.com. 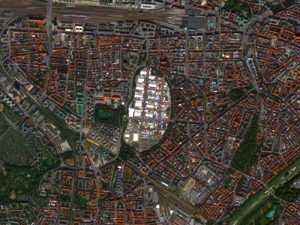 This entry was posted in The Geospatial Times and tagged monthly spotlight, Planetscope, RapidEye, skysat, The Geospatial Times by Apollo Mapping. Bookmark the permalink.